With 2019 well under way, it’s time to focus on your long-term goals. So let’s start February by thinking about retirement planning. Fortunately retirement planning is easier than it used to be, thanks to the many tools, resources and professionals available to help you. Here are some basic steps to get you started. It’s common to discuss desired annual retirement income as a percentage of your current income. Depending on who you are talking to, that percentage could be anywhere from 60% to 90%, or even more. The appeal of this approach lies in its simplicity. The problem, however, is that it does not account for your specific situation. To determine your specific needs, you may want to estimate your annual retirement expenses. Use your current expenses as a starting point, but note that your expenses may change dramatically by the time you retire. If you are nearing retirement, the gap between your current expenses and your retirement expenses may be small. If retirement is many years away, the gap may be significant, and projecting your future expenses may be more difficult. Remember to take inflation into account. The average annual rate of inflation over the past 20 years has been approximately 2%1 and the possibility of inflation increasing beyond that in future years is high. It’s also important to take into account that your annual expenses may fluctuate throughout retirement. For instance, if you own a home and are paying a mortgage, your expenses will drop if the mortgage is paid off by the time you retire. Other expenses, such as health-related expenses, may increase in your later retirement years. A realistic estimate of your expenses will tell you about how much yearly income you will need to live comfortably. At what age do you plan to retire? The younger you retire, the longer your retirement will be, and the more money you will need to carry you through it. What is your life expectancy? The longer you live, the more years of retirement you will have to fund. When you know roughly how much money you will need, your next goal is to save that amount. First, you will have to map out a savings plan that works for you. Assume a conservative rate of return (e.g., 5% to 6%), and then determine approximately how much you will need to save every year between now and your retirement to reach your goal. The next step is to put your savings plan into action. It’s never too early to get started (ideally, begin saving in your 20s). To the extent possible, you may want to arrange to have certain amounts taken directly from your paycheck and automatically invested in accounts of your choice (e.g., 401(k) plans, payroll deduction savings). This arrangement reduces the risk of impulsive or unwise spending that will threaten your savings plan — out of sight, out of mind. If possible, save more than you think you will need to provide a cushion. You need to understand the types of investments that are available, and decide which ones are right for you. If investing seems like a daunting or intimidating task you can always seek the help of a financial professional. They will explain the options that are available to you, and can assist you in selecting investments that are appropriate for your goals, risk tolerance, and time horizon. Just bear in mind that many investments may involve the risk of loss of principal. The following are some of the more common retirement savings tools, but others are also available. Employer-sponsored retirement plans that allow employee deferrals (like 401(k), 403(b), SIMPLE, and 457(b) plans) are powerful savings tools. Your contributions come out of your salary as pre-tax contributions (reducing your current taxable income) and any investment earnings are tax deferred until withdrawn. These plans often include employer-matching contributions and should be your first choice when it comes to saving for retirement. 401(k), 403(b) and 457(b) plans can also allow after-tax Roth contributions. While Roth contributions do not offer an immediate tax benefit, qualified distributions from your Roth account are free of federal, and possibly state, income tax. 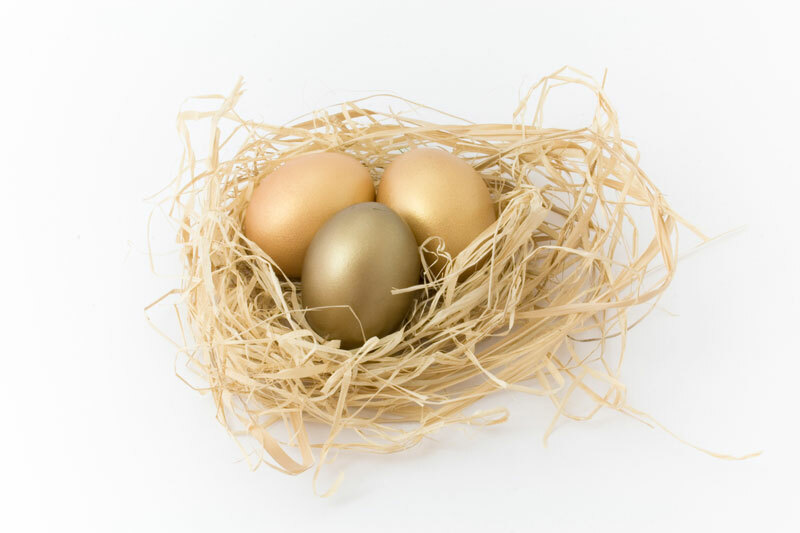 IRAs, like employer-sponsored retirement plans, feature tax deferral of earnings. If you are eligible, traditional IRAs may enable you to lower your current taxable income through deductible contributions. Withdrawals, however, are taxable as ordinary income (unless you have made nondeductible contributions, in which case a portion of the withdrawals will not be taxable). Roth IRAs do not permit tax-deductible contributions but allow you to make completely tax-free withdrawals under certain conditions. With both types, you can typically choose from a wide range of investments to fund your IRA.